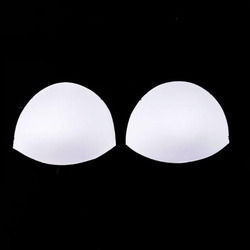 Our range of products include interlock bra cups, inter lock bra cups, triangle bra pads, bra cups laminated, laminated bra cups and bra cups (laminated). We are offering our clients an excellent quality range of Bra Pads. Offered bra pad is finely designed using optimum grade foam & fabric and progressive techniques. The provided bra pad is widely appreciated for its comfort fitting. 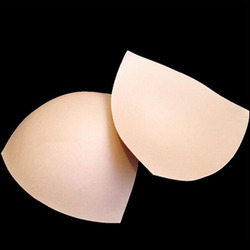 To assure their quality, this bra pad is precisely examined on predefined quality standards. Besides, this bra pad can be availed by our clients at market leading prices. Our firm is a leading name, betrothed in presenting an elite range Laminated Bra Cups. Our offered range is fabricated by our professionals using the premium grade fabric that is bought from trustworthy retailers of the market. Our offered products are highly praised in the market due to its stunning patterns, long lasting nature and unique colour combination. Furthermore, we present these products to our customer at low prices. 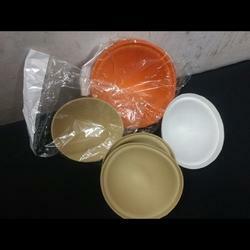 Our firm is a leading name, betrothed in presenting an elite range of Bra Cups (Laminated). Our offered range is fabricated by our professionals using the premium grade fabric that is bought from trustworthy retailers of the market. Our offered products are highly praised in the market due to its stunning patterns, long lasting nature and unique colour combination. Furthermore, we present these products to our customer at low prices.